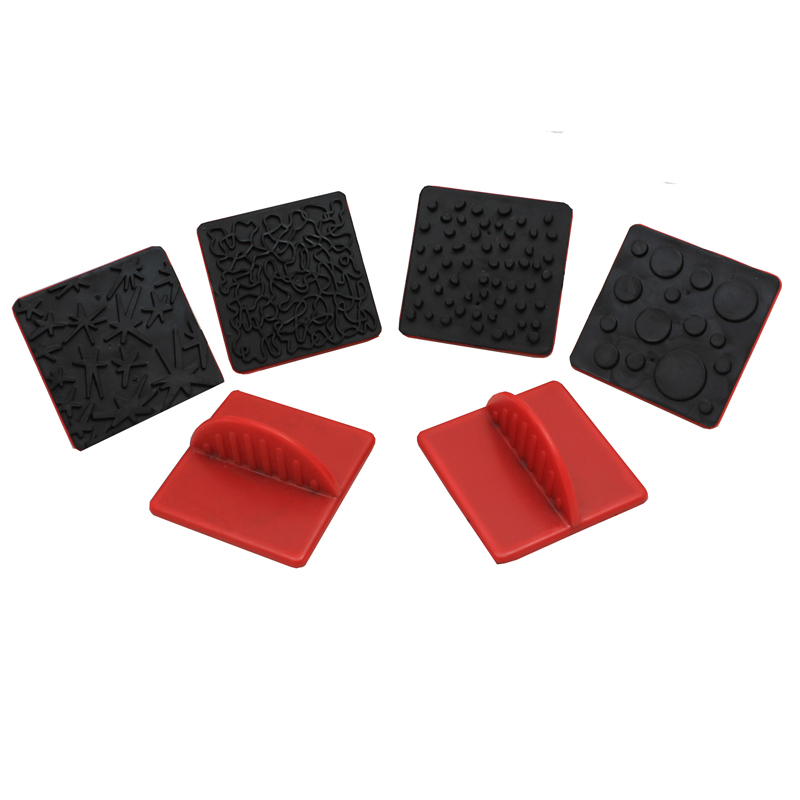 With twenty-four pieces per pack, three each of eight designs, you can stamp your way across any size paper with many different figures and patterns. 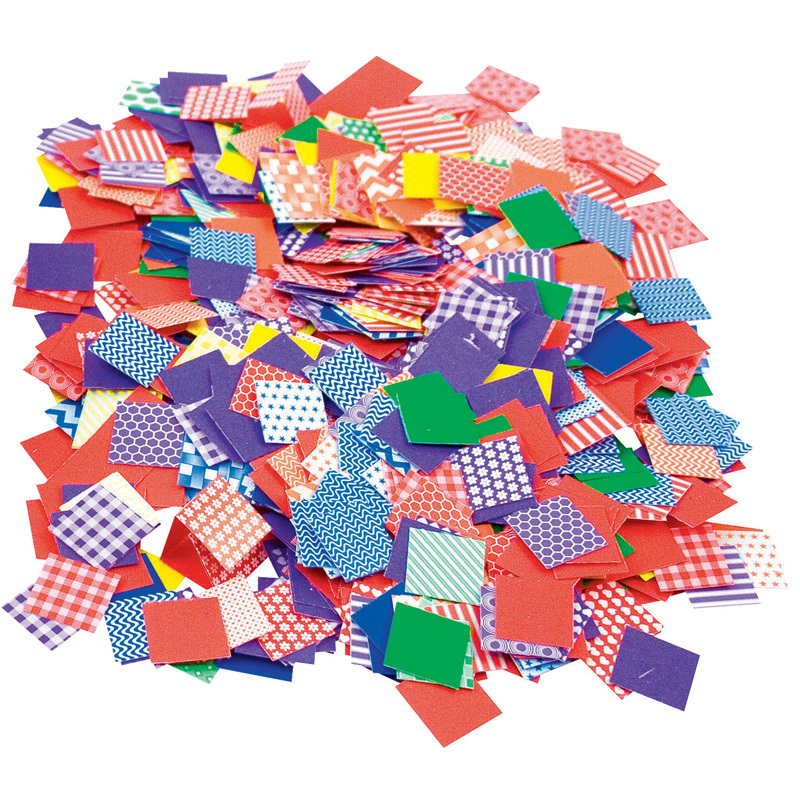 These are great for decorating cards, wrapping paper, and just about anything else that you can think of! Each stamp measures 1 3/8" high and has a 3/4" diameter. For 3 years and older. 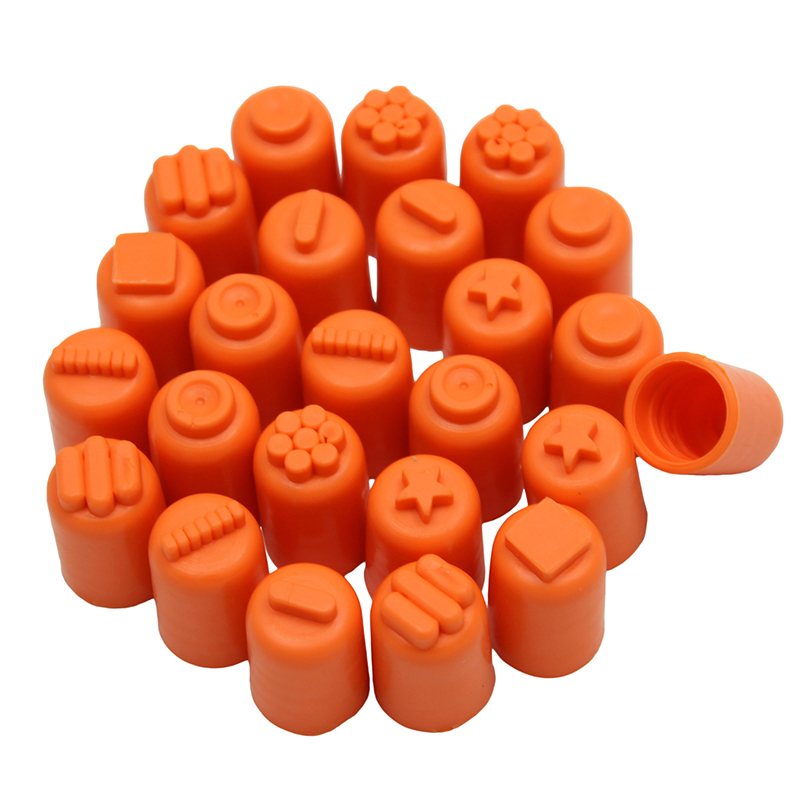 The Finger Painters/stampers Set Of 24 can be found in our Art & Craft Kits product category within the Arts & Crafts. 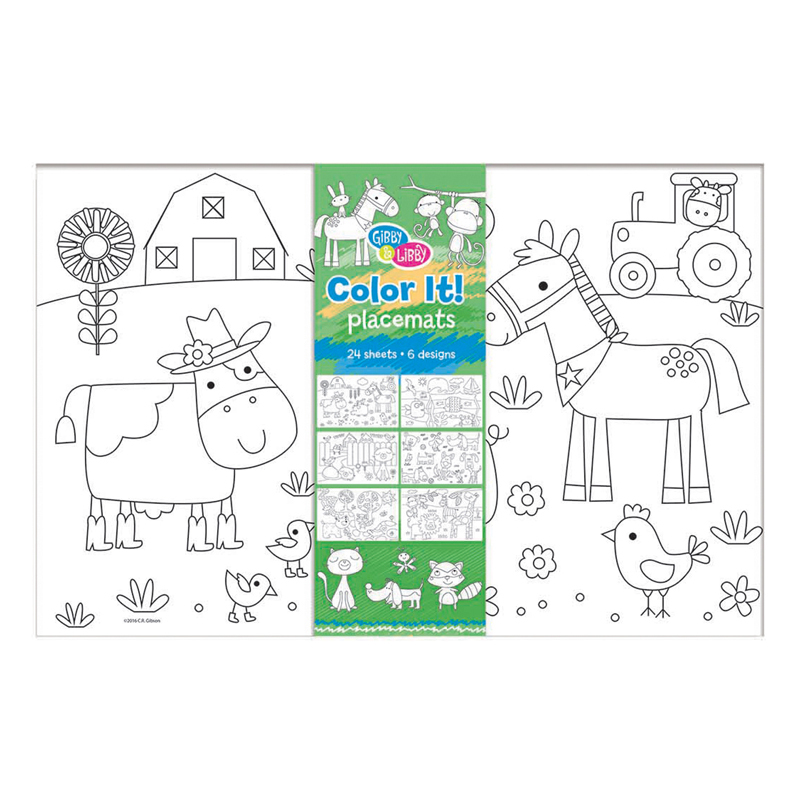 With 8 pieces per pack you can stamp your way across any size paper with many different figures and patterns. 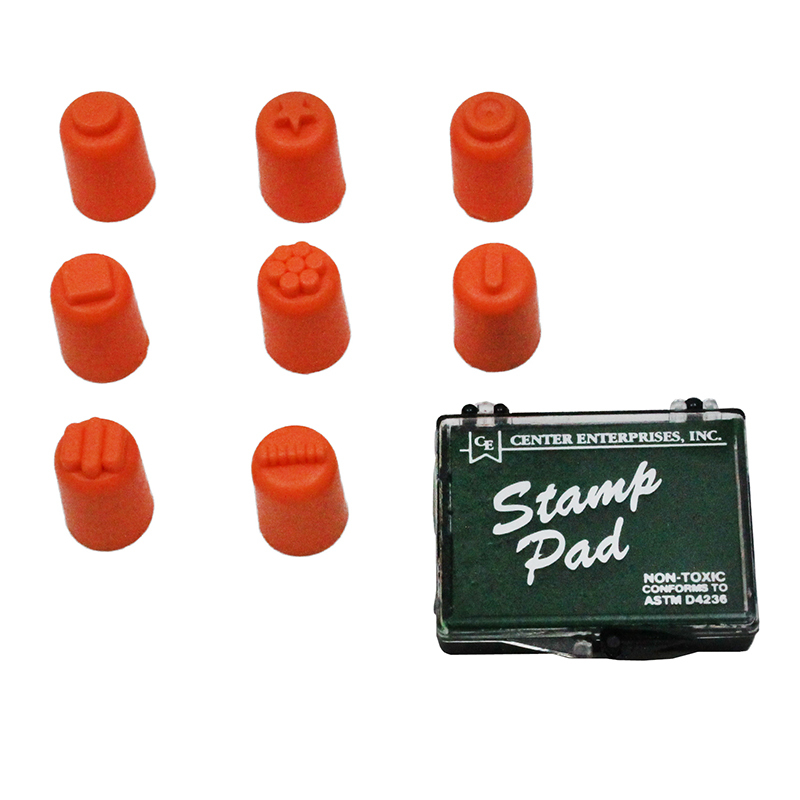 Each stamp measures 1-3/8" high and has A 3/4" diameter. Choking Hazard (1). Not for under 3 years old.